John Boehner Retires: What Have We Gained? What Have We Lost? | Virginia Right! John Boehner Retires: What Have We Gained? What Have We Lost? 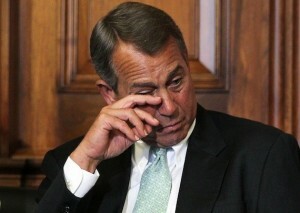 With great delight did I receive the news this morning that the Speaker of the House, John Boehner, would be retiring. Two years ago, the great patriots of Virginia’s 7th District retired House Majority Leader Eric Cantor, but since then, John Boehner has stood steadfast and resolute against the freedom movement in America. However, Boehner’s departure was not without its’ costs. Our friends in the Freedom Caucus have taken a great risk on our behalf, trading a budget showdown with Democrats over Planned Parenthood for Boehner’s seat atop the House of Representatives. If this were an establishment writer speaking to you now, I would make the argument that this is a great deal, because Obama would have vetoed a budget without abortion funding for Planned Parenthood anyway. So instead of fighting a losing battle, we win by getting rid of Boehner. However, we aren’t merely facing future budgets. We’re facing a debt ceiling increase. It’s in the bag. The House and the Senate are going to increase the debt limit and there isn’t a damn thing we can do about it. That’s what John Boehner’s resignation cost us. What have we gained? Hope. Kevin McCarthy may well be the next Speaker of the House, in which case we’ll find ourselves in an equally precarious position. However, McCarthy does not have the power John Boehner wielded. We could get a Congressional Session out of him during the elections where he allows Republicans to fight the battles near and dear to the hearts of Conservatives, in order to put Democrats on the defensive during a Presidential Election. Even show votes, if vetoed by Obama or prevented from coming to a vote by Democrats in the Senate, or even if killed by Mitch McConnell could get more Republicans to the polls next November. That said, my hope is that our next Speaker of the House is not McCarthy. My impression is that he is less informed than Speaker Boehner and less honest. The Establishment, which still controls the majority in the House, should consider a more middle of the road candidate. Someone like Paul Ryan would be distasteful to conservatives, but it would not have the deleterious effect McCarthy would have – in fact, if its’ McCarthy, things could get much worse, much more quickly. Furthermore, Rand Paul and Ted Cruz were hell bent on making Planned Parenthood a big time battle in the Senate. By 10am this morning, that ambitious effort became futile. Instead, we’re going to face more spending, more debt, less fiscal security, less debate, and the edge of the cliff becomes increasingly palpable. I’m delighted to see John Boehner go – it was necessary. The future, however, remains uncertain; our resolve must remain resolute, our ambitions broadened, and our voices raised loud enough for leadership to hear and understand that our complaint rests, not with one man, but with a government bereft of affection for American Liberty. We did not rise seeking heads, but rather, freedom, smaller government, and a more constitutional society.